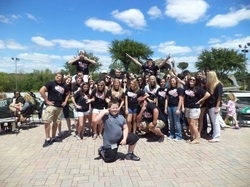 At Texas Tech, interested students should apply early for admissions to the University. By filling out the ApplyTexas and the Scholarship Applications, students are considered for the Terry Scholarship. All University applicants are reviewed in relation to the Terry Scholarship criteria. Letters are sent out from the university scholarship office inviting qualified students to apply. The Terry Foundation Scholarship is more than a scholarship; it's a program. The program is designed to encourage students success and retention. With a dedicated program coordinator and a host of resources at the disposal of the scholars, success is highly anticipated. ​ It is highly encouraged that prospective students review this information prior to application and, if selected, interviewing. There is a committee at Texas Tech, lead by the Terry Coordinator, who reviews the applications and a number of panelists who review the applications prior to the interview. This is their only and/or first impression. Start early. Gather your information as soon as possible and ask for your recommendations allowing for plenty of time. Be authentic in your application. Explain why you took part in service and/or leadership events, how it helped others, what difference it made in the community. You hear that companies and others will review your social media profile prior to interviewing or hiring. It is true. Make sure that the way you are represented on social media is the way that you choose to be portrayed to the university and the foundation. Interviews for incoming Texas Tech freshman scholars take place in north Dallas in March/April each year. For transfer scholars, the interviews for Texas Tech are held in varying locales across the State in July. It is a 30 minute interview in front of 6 panelists, who at one time have all been Terry Scholars themselves. Practice your interview skills with others, possibly friends of your parents or others that your teachers or school administrators might know. The most important thing to remember is to be yourself. If invited to interview, review your application, financial information and any other information you feel that may be discussed during the interview. Other Terry Scholars have provided some tips on our blog page. Students chosen to be Terry Scholars all live together during their freshman year in Murray Hall. Once students are selected, the university will move them from their current housing assignment into the room block reserved for the Terry Scholars. Housing is billed on a 60/40 split. Terry is paid 50/50 each year. 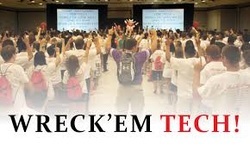 Red Raider Orientation was designed to guide each new student at Texas Tech to success. While at RRO, students will get the chance to meet other new students, get advice from current students, meet with an advisor, register for classes, learn new Texas Tech traditions, and have fun! Terry Scholars are encouraged to attend one of the first 4 sessions. During your time at Orientation, freshmen scholars will have a planned meeting with the Terry Advisor and Transfer Scholars are encouraged to meet with her as well. All Terry Scholars are encouraged to take part in the Terry exclusive Student Organization where scholars grow academically and socially and serve others. More information can be found here.